I have been in Cambodia for four years, and what do I have to show for it? A whole lot of pain and struggle, a few words I can speak in this foreign language, and some great sandal tan lines on my dirty feet. I long for more. Far too often I am just like the prodigal son. He reached out hands in greed to receive his inheritance early, heart full of discontent and lust for worlds unknown. When he hit rock bottom, he only hoped to be allowed back home as a servant. I too forget my true Home and the abundance of the Father who gives the most gracious gifts. My heart longs for temporary pleasure and the fulfillment of dreams. I look for the next adventure, wanting more than I already have right in front of me. My soul gets foggy from fear and frustration and what feels like lack; over and over again my memory of what is, what I have, fades away. I need to be reminded to open my hands to receive, not in greed like the prodigal but in awe and love for the One who pours out lavishly. Sometimes when pictures flood Facebook and Instagram— happy brides in stunning white, bright-faced babies in adorable outfits— I focus on what hasn’t happened in my own life. I didn’t think I would be single and 31, staring this decade in the face without a partner by my side. I weep or I grumble, “God, this isn’t fair! Why haven’t you answered this prayer?” I need to be reminded that the Jesus is gentle and humble, the tender Guardian of my precious heart. He invites me to receive the gift of intimacy with Him as His beloved, regardless of my relationship status. Life is not fair, no matter how hard I try to manipulate circumstances to make it so. No, God is not fair. 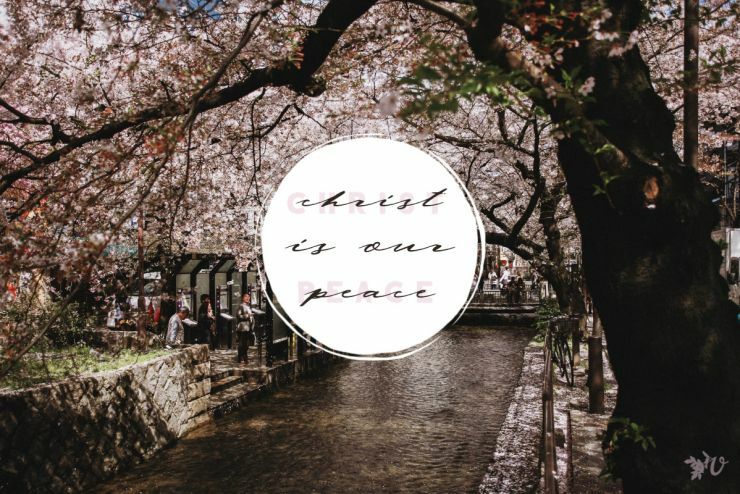 His one-of-a-kind, special plan for each of us and the gifts He gives to us cannot be compared with someone else’s, because He loves us uniquely. I look at my life and work and I want it all to be worth it, to know that all the hurt and endurance will count for something. I forget my role, my responsibility in this whole thing. The Father calls me to receive the gift of abiding in Him, allowing His pruning to break away the dead branches so that fruit can come. Remember, O my soul, that apart from Him I can do nothing. He draws the hearts of people, He sends the rain to the dry and thirsty earth. He is faithful to complete the work that He has started, in this place and in my heart. When my wandering prodigal heart only sees scarcity, only focuses on what is lacking, I need a reset. 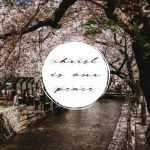 I need to stop and accept Jesus’ invitation to rest. I’m terrible at resting. I make my to-do list for the day, and then feel lazy if I don’t get everything done. When I do stop for a time, I’m consumed with guilt rather than allowing myself to be filled. But Jesus offers a different path, a way to get rid of those heavy burdens. 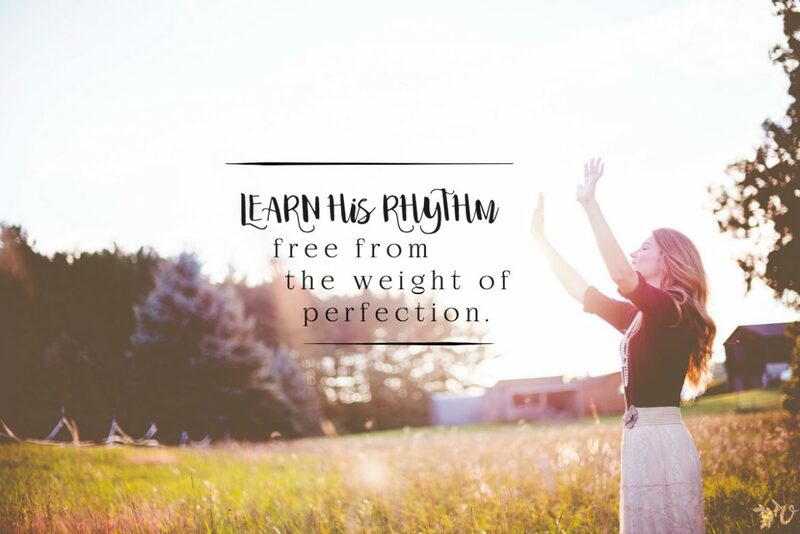 He bids us to shed the old yokes, and instead learn His rhythm- free from expectation and pressure and the weight of perfection. He pours out one gracious blessing after another out of His abundance (John 1:16). Do we have hands open to receive, hearts ready to see these gifts from Him? 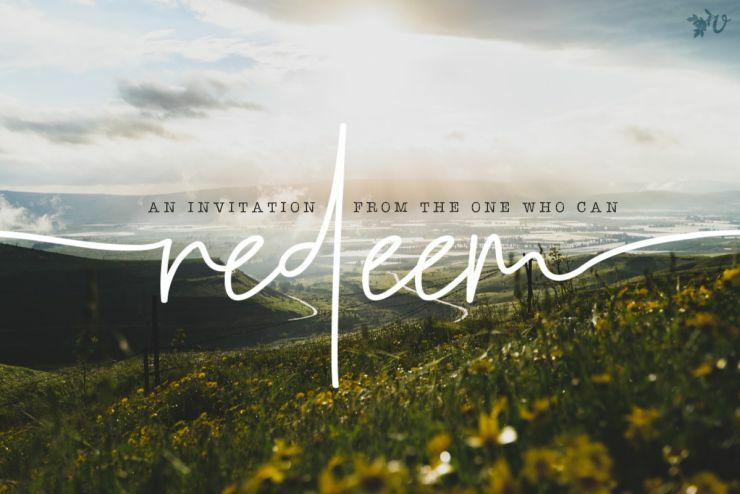 What invitation is the Father extending to you? How do you remember to receive with open hands from His abundance? Thank you, Helen! Joining you in that prayer that you will receive all the Father wants to pour into you and the little gifts He is giving you. Sarah, thanks for your thoughts. I struggle with these same things, though I am a little further along on the journey than you. Can I just be really honest? As a single woman, I keep telling myself that I just need to be closer to Jesus. But will that ever really fill the empty place in my heart that longs for connection? Or is that just Christian speak? If it is possible, I don’t know how to do it. God made us to live in community. But the apostle Paul said that it is good to be single because the single man or woman can give their full devotion to God. But how do I find contentment in that? Honestly. It all sounds good to be in pursuit of this, but can it REALLY happen? I’m so frustrated in this. Diddo those thoughts, Cecily. Being single, in cross-cultural work, and for years – and yet the Desire is there. It also says it is not good for man (woman) to be alone… So it doesn’t make it easier and I don’t have answers (but I still ask), but I keep leaning on Him who hears my cry and walks with me – when I don’t know or understand my now or my future. Prayers with ya! Cecily, YES! I totally understand as my heart has been longing for community and connection as well. I believe that Jesus CAN fill the empty holes in our hearts and that He is enough. But sometimes we need a real-life hug or a mug full of coffee and a heart-to-heart with a friend or an extra long video chat. My teammate and I have been living in pretty isolated places for the last couple of years and I’m realizing how much I need the family of God, to have friends to come alongside of me. I don’t have answers about contentment because I’m not there either. I struggle with the desire that rises up in my heart, the fear of being alone, and how to let go of dreams and expectations. But that’s what we’re here for, right? To be real and honest about the struggle and the hard things about this life. To not just say I’m fine when I’m really not. To hear another sister say, Yes me too! Praying with you today. Real, honest, hard conversations about singleness can be scary for me, because it exposes a very tender place in my heart. Yet, it needs to happen. I’m grateful for the ways it happens here at VA and for open doors for real conversations elsewhere too. One thing I’ve learned is that no matter what our relationship status, we’ve all had to bury dreams and let expectations die. This can be so painful whether we are married or single, having babies or not, seeing fruit in ministry or not. I love when we get to walk with each other in grieving those things. Maybe I need to make an apology. I can see that I am angry, and I can see the anger in my responses here on this page. So, if an apology is needed for responding in anger, then please accept my apology. I can see that I have believed the lie that from God’s viewpoint, marriage and family is the highest calling on earth. What I see is that this is, in many ways, what our society and the Church proclaims. And, I have believed this lie to the very depths of my being. So, it is no wonder that I cannot find contentment! If this “lie” is really true, and if marriage and family really is the all-in-all for life, then I have a big problem. I have believed this lie, and therefore have believed that God has withheld marriage and family from me, without giving me any other options for something good. And so, naturally, I am angry about this and VERY disappointed. Thinking in this new way might make contentment actually attainable! So cool to see how the Father is working in your life and using the retreat!! Oh, wow. This comment hits on a topic close to my heart. 🙂 I truly believe that God has chosen the best and perfect gift for me in singleness (for now, at least), but it’s been a long–and continuing–journey to learn to accept and embrace that gift. I say continuing because I have NOT got it all figured out and my heart all where it should be yet. 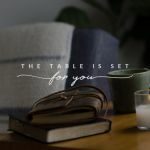 But one thing I’ve learned…and am still learning…is that the unsatisfied longings in my heart are a gift–a part of the beautiful gift of singleness. I used to think that they shouldn’t be there, that it showed discontentment if there were still longings for marriage and family in my heart. I begged God to take those longings away, to satisfy them with Himself. 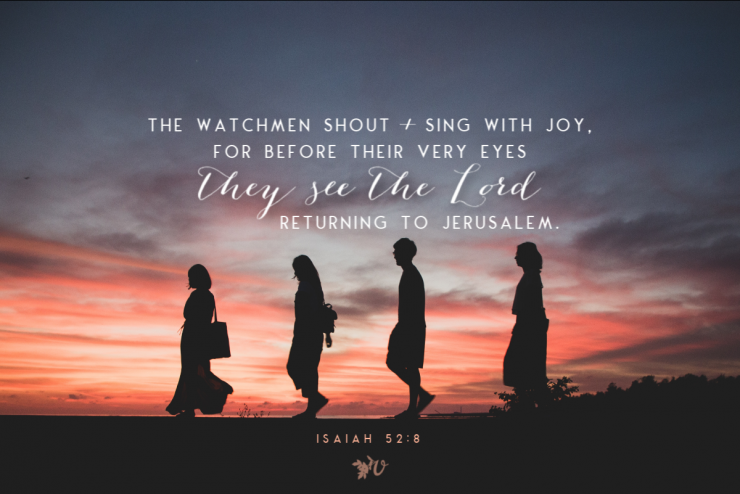 But He didn’t, and I felt frustrated, because I would come to Him and find rest and satisfaction in Him, but then the longings for relationship, for intimate heart fellowship, for a husband and children, would almost overwhelm me again. But I’ve slowly realized that these longings are a gift, a chain that binds me to God and keeps drawing me back to Him. They keep me crying out to Him (you know–who else do I have to cry to? ): “God, I can’t do this on my own.” “God, I’m lonely…I need someone.” “God, my heart is full of longing. Come and speak to my needy heart.” He doesn’t satisfy the longings once for all. He doesn’t even let me come to Him once a day and “fill up my tank” so that my longings are satisfied for that day. He keeps me constantly coming back to Him, constantly communing with Him, because that’s the only way to deal with the heart hunger and loneliness. I don’t know if I’ve managed to make myself clear. And I certainly hope I didn’t make it sound like I think I have all the answers, because I DON’T. 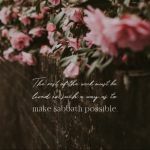 May the Lord continue to teach each of us the beauty of the relationship we can have with Him as our Husband and our Beloved, and the satisfaction we can have in Him even as we experience unmet longings. Praying for/with you! And thank you, Sarah, for the beautiful post! I’m really glad you wrote this! T, thank you for sharing your story! Your words are important and the story that the Father is weaving in your life is important too. Thank you for taking the time to share sweet encouragement too!